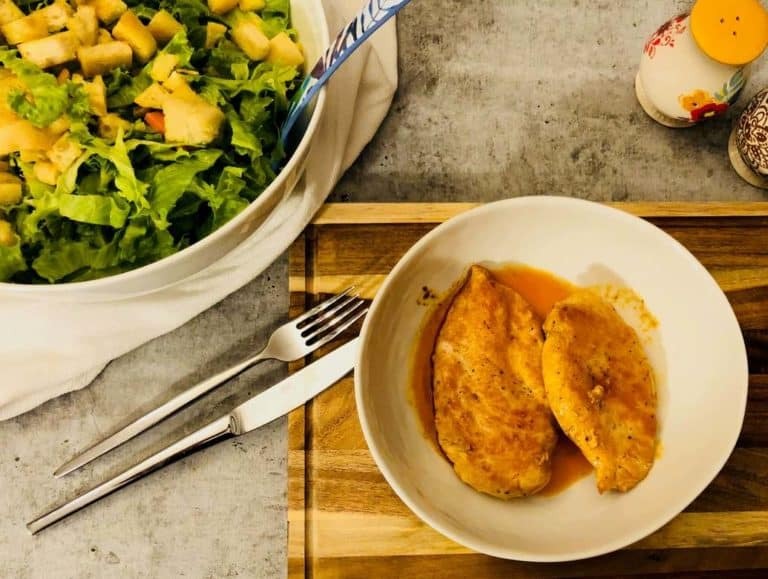 One of the most rapidly growing industries within the U.S. is the meal kit delivery industry. Over the past decade there have been many changes and countless new arrivals. Each company offers something quite different and many have their own specialities with very different audiences. As a result, it can be quite difficult to work out which meal kit delivery service is the right one for you, which is why we are here! We are excited to compare two of the best (and our favorite) meal kit delivery services. We will be looking at Martha & Marley Spoon which is the brainchild of the mother of all American home cooking – Martha Stewart. We will be comparing Martha & Marley Spoon with Sun Basket. 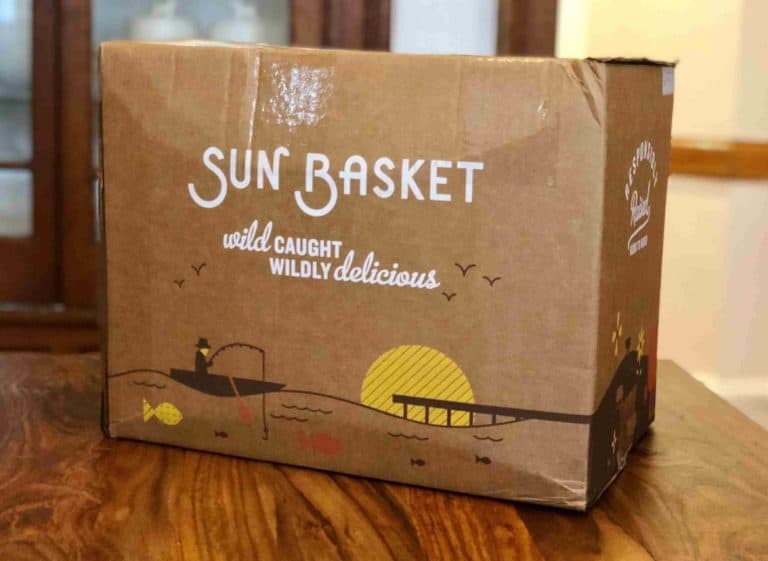 Sun Basket is the well-established and long term Californian based all-organic meal kit company. The Classic Menu – providing two or three meals per week for two or four people. The Family Menu, offering offers two, three, or four meals per week for four people. When it comes to variety, Sun Basket has the upper hand, with an amazing selection of 18 dishes every week in their Classic Menu! 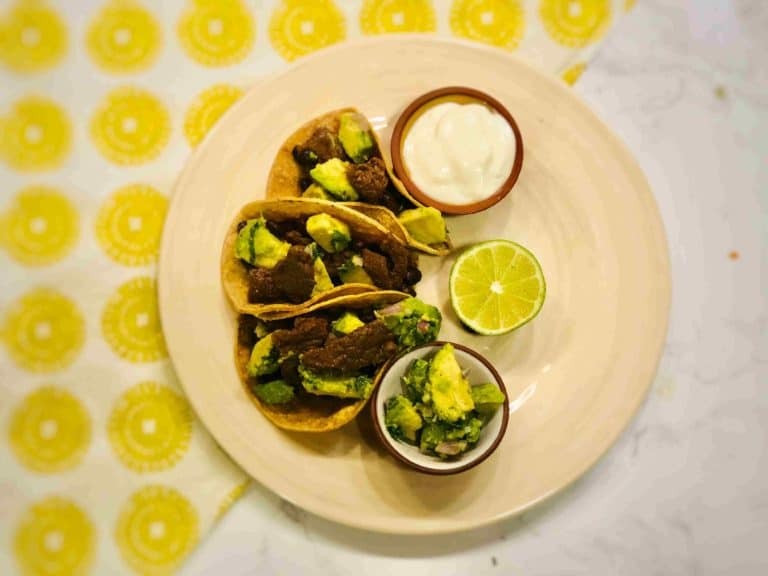 Within these dishes, you will find choices that cater for special dietary requirements such as paleo, gluten free, lean & clean, vegan, vegetarian and the Mediterranean diet. You can mix and match the dishes as you desire. With Martha & Marley Spoon you get to choose from 12 different dishes every week. These weekly dishes all come from more than 18,000 of Martha’s favorite recipes. Among these you can find vegetarian, dairy free, low calorie and child friendly dishes. We have to say that everything we tasted from both Sun Basket and Martha & Marley Spoon was very good! It is important to note that Sun Basket are more focused on organic, healthy new age kind of cooking. They include ingredients such as quinoa pasta, alfalfa sprouts, tofu and so on. In comparison, Martha & Marley Spoon are more focused on the best quality classic home cooked dishes. They also include an additional focus on ensuring that there are ample vegetables and fresh greens in almost every meal. With both companies, the dishes take approximately 30 minutes to prepare, using easy-to-follow recipes. 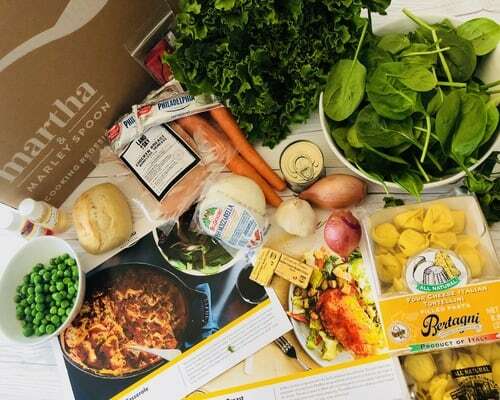 Both Sun Basket and Martha & Marley Spoon offer meal kits that use high-quality ingredients. Sun Basket makes the AMAZING promise that all their ingredients are organic and sustainably sourced. This is a promise that we really appreciate! From our experience, the quality of ingredients provided by Martha & Marley Spoon are beyond amazing! Martha & Marley Spoon works directly with the finest purveyors to deliver ingredients like grass-fed beef, Berkshire. Both companies deliver their meals kits in specially designed and labeled carton boxes. There is minimal sorting required as the contents of the box are well organised with each dish being individually sorted, wrapped and labeled. In the Sun Basket box the refrigerated items are placed in the bottom with an appropriate amount of ice. In the Martha & Marley Spoon box, all refrigerated items are placed in an isolated cooling pouch made from raw, un-dyed cotton and filled with ice. Both companies deliver their meal kits in a way that ensures that the boxes can stay outside for a few hours without requiring refrigeration. Both Sun Basket and Martha & Marley Spoon provide a well-organized and easy to use website and app. Everything you need to do to manage your account can be completed online. You can register, select your plan and desired dishes, define your eating preferences, change your payment method etc – all online in a very easy way. With both companies, the service is available as an ongoing subscription. However, both will allow you to skip weeks if necessary and you are able to cancel the account whenever you desire with no penalties. They also offer a certain amount of flexibility in selecting your preferred delivery day. Sun Basket offers one of their signature sauces every week for $4.99. Martha & Marley Spoon, on the other hand, offers a selection of two fiesta boxes. A fiesta box is a kit that contains everything you need to make an appetizer, entree, and dessert for a party of four or eight people. Sun Basket offers the Classic Menu at a price of $11.99 or $12.99 per serving for three or two dishes per week respectively. The Family Menu is available at a price of $9.99 per serving. There is an extra shipping cost of $6.99 after the first delivery. Martha & Marley spoon offers the two-person plan with three meals a week for $61.50 per week, which works out to be $10.25 per serving. For the Family Plan with three meals a week, you will pay $106.80 per week, which is $8.90 per serving. Both companies offer amazing dinner options, but they do appeal to very different audiences. If you are all about organic, healthy, new age food that is delicious, or if you are following a specific diet like paleo, vegan or gluten free then Sun Basket is your choice. If you are looking for the best quality classic dinner options that are easy to cook and taste incredible then Marley & Martha Spoon is the company for you! Our winner is Sun Basket – we absolutely love their commitment to deliver organic and sustainable sourced ingredients. also, the variety of weekly dishes is outstanding!